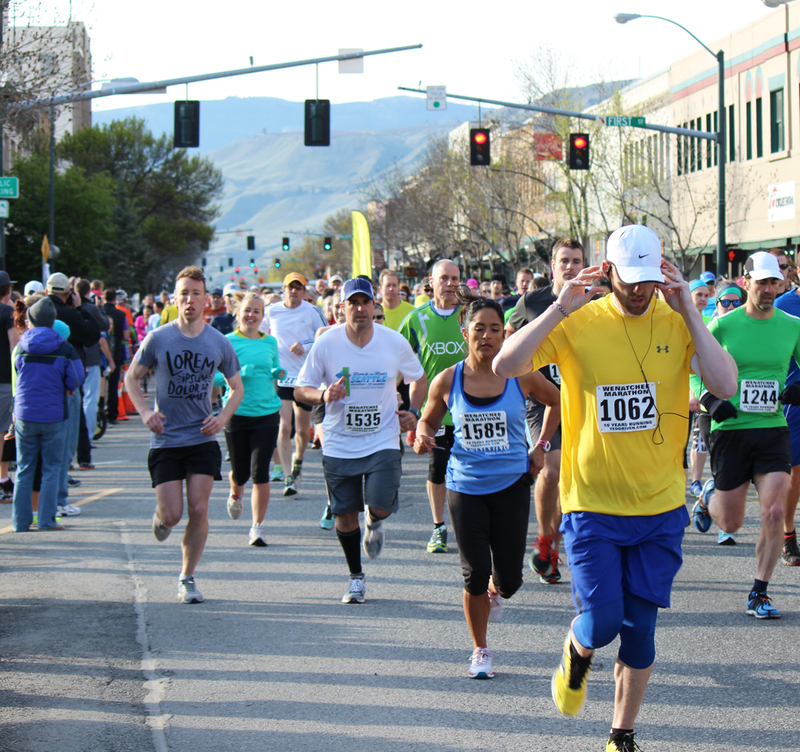 WENATCHEE — When people partake in the April 17 Wenatchee Marathon Health & Fitness Expo, the precursor to the running race the next day, they will spot or hear several messages about cancer research. Both events are put on by TedDriven, which is named for Wenatchee Marathon co-founder Ted Finegold, who died of cancer in 2010. The mother of another co-founder, Ian Crossland, also died of the disease several years ago. And since 2005, TedDriven has donated tens of thousands of dollars toward cancer research from proceeds generated at the Wenatchee Marathon as well as from its other race, the Leavenworth Oktoberfest Marathon. But TedDriven is elevating its connection to cancer research even more. Visitors to the Wenatchee Marathon Health & Fitness Expo will see a video from University of Pennsylvania cancer researcher Dr. Sandra Ryeom played around the clock inside the Wenatchee Convention Center. There will be literature available for those who want to learn more. And a microphone and podium will be available at the Expo for any cancer survivor who wants to step up and tell his or her story. Wenatchee’s Lynda Finegold, the widow of Ted Finegold, says she, Ian Crossland, and Ian’s wife, Wendy, decided they needed to focus more on what the organization is all about. 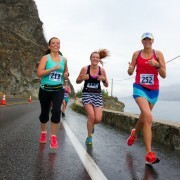 — As of April 4, the Wenatchee Marathon, Half-Marathon and 10K was on pace to top last year’s roughly 1,200-athlete field. 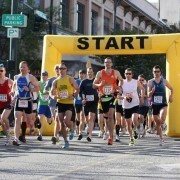 The biggest turnout that the event has attracted was 1,430 runners in 2011. The marathon is now in its 11th year. — This year’s second-annual Wenatchee Marathon Health & Fitness Expo will welcome more than 25 vendors to the main ballroom at the Wenatchee Convention Center. The lineup includes shoe companies Hoka and Asics; retailers Arlberg Sports, VIM Sports, Pool to Spa Services and Great Harvest Bread Co.; and specialty businesses LYP Apparel, Peace Within Apparel, dōTERRA Essential Oils and iLa Yoga. 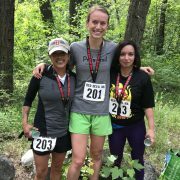 Also present will be a host of outdoor businesses and nonprofit groups such as Mission Ridge Ski & Board Resort, Leavenworth Winter Sports Club, Girls on the Run, Wenatchee Row and Paddle Club, and RunWenatchee. AdventureWenatchee, which is coordinating the expo for TedDriven, estimates more than 2,200 people will attend the event. That figure includes runners registering and picking up their race packets. The expo is free and open to the general public and features giveaways and several presentations. “We started the expo because we wanted to create more of a fun vibe for the runners and the community,” Finegold says. — The courses for the marathon, half-marathon and 10K will remain the same for the seventh year in a row. That means runners (and walkers) will start on Wenatchee Avenue outside the Stanley Civic Center and head north before taking a right on Fifth Street and getting on the Apple Capital Loop Trail. From there, they will stick to the loop trail before finishing at the Civic Center by going over the Riverwalk Crossing pedestrian bridge. — There will be a 6:30 a.m. “early bird” start on Saturday for marathon walkers only. The annual kids race will take place at 7:40 a.m. The half-marathon field (runners and walkers) will start at 8 a.m. The marathon and 10K will start at 8:15 a.m.
— Technical shirts will be given out at registration for those picking up their packets on Friday, or at the finish line for those picking up bibs the morning of the event. The move was made to streamline shirt distribution and ease the process for participants. — TedDriven will conduct a shoe drive for Lighthouse Ministries at the expo. Any gently worn shoes — men’s, women’s and children’s — will be accepted. — On Friday evening, the day before the big race, Lulu’s Kitchen in East Wenatchee is hosting a carb-load dinner from 4 to 9 p.m. Lulu’s will donate 50 percent from the dinner to Lemonaid 4 Life, a local group of middle-school girls who are raising funds to find a cure for breast cancer.